The former women’s featherweight champ has finally fixed her hand and will hopefully have a less controversial 2018. 2017 has been a crazy ride for Germaine de Ramdamie, starting with her winning the inaugural women’s featherweight title in February, only to be stripped in June when she refused to face #1 contender Cris Cyborg. 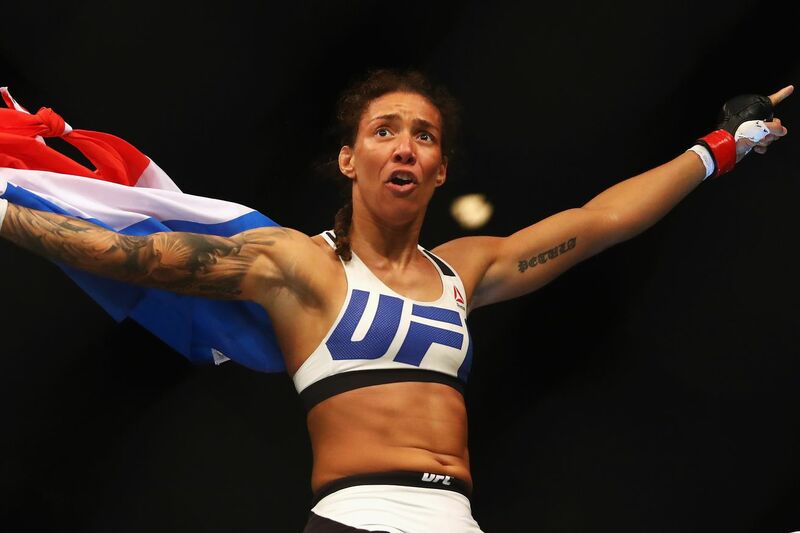 She was set to return to bantamweight at last weekend’s UFC Rotterdam event, only to pull out with a week to go over an undisclosed injury.